On "Meet the Press" this weekend, Pete Buttigieg became the latest figure to accuse evangelicals of being "hypocrites" for accepting, rather than rejecting Trump. It's worse than the uncivil behavior, however. According to Buttigieg, the president doesn't even believe in God. "I'm reluctant to comment on another person's faith, but I would say it is hard to look at this president's actions and believe that they're the actions of somebody who believes in God," Buttigieg told the USA Today. 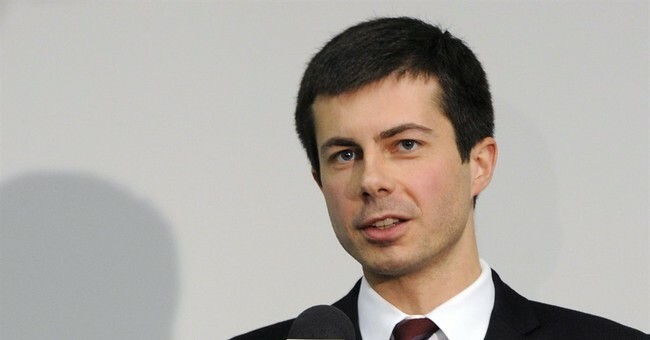 Buttigieg, who is openly gay, has also recently accused Vice President Mike Pence of misinterpreting Scripture. One of the most prominent evangelical leaders to publicly praise the Trump administration has been Liberty University President Jerry Falwell. He welcomed Trump to campus with open arms during the 2016 campaign and hasn't looked back since. In a recent interview with Townhall, Falwell told us that he often chats with the president on a variety of issues, offering his advice and support. He has defended his relationship with Trump by noting nobody's perfect. "When Jesus said we’re all sinners, he really meant all of us, everybody," Falwell explained. "I don’t think you can choose a president based on their personal behavior." Of course evangelicals who support Trump will always be questioned. Consider, however, their alternative. At the 2012 Democratic National Convention, attendees weren't sure they still wanted to recognize God in their platform. Some even booed.